Certified Physician Assistant Aimee M. Mitchell assists in the evaluation, diagnosis and treatment of general dermatological diseases. After graduating from the University of Georgia with a Bachelor of Science in Education, she earned a Bachelor of Science in Physician Assistant Studies from the Medical College of Georgia. 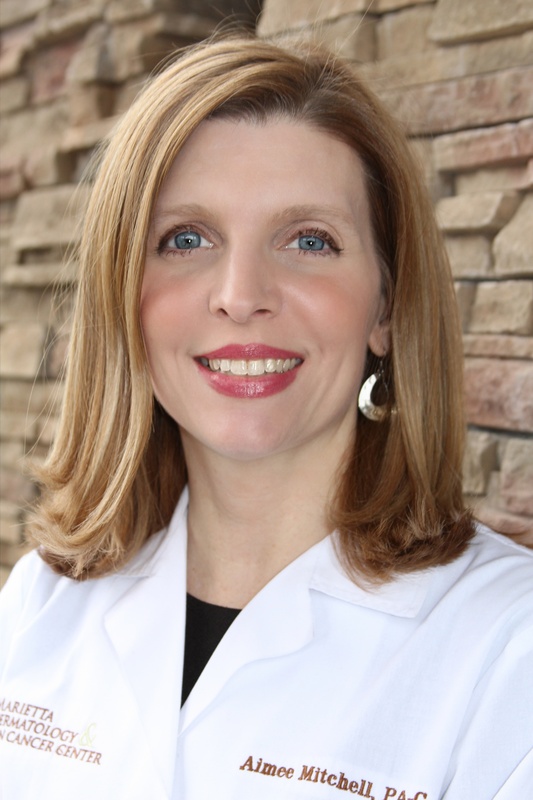 She is a member of the American Academy of Physician Assistants, Georgia Association of Physician Assistants, Society of Dermatology Physician Assistants and Georgia Dermatology Physician Assistants. She maintains her certification through the National Commission on Certification of Physician Assistants. Outside of work, Aimee enjoys traveling and spending time with her family.